There is an obscure scenario causing some older Android versions to throw java.lang.NoClassDefFoundError when trying to register subscribers in EventBus. It was reported often in connection to the class PersistableBundle, which was introduced in Android API level 21. It seems like an Android bug with reflection, but of course you don’t want your app to crash. Thus, we just added an FAQ entry with covering some background and a couple of solutions. One preferred solution is to update to EventBus 3 along with the subscriber index. Because the index is created during build time, it avoids problematic (and slow) reflection altogether! 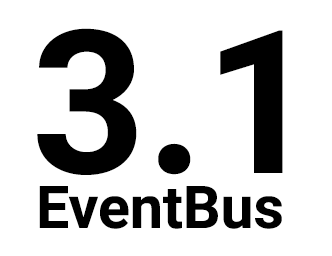 Today, we are pleased to release EventBus 3. Previous versions of EventBus rejected to use annotations for performance reasons. Now, version 3 embraces annotations to improve performance. How does that make sense? Unfortunately, Android’s performance did not get any better. Reflection on annotations is still very bad compared to Desktop Java, even on Android 6 and ART. EventBus 3 resolves this problem by introducing a new annotation processor, which will index all annotations at build time. It generates a class containing all the data that would be expensive to get at run time. Build-time indexing makes EventBus 3 the fastest EventBus ever. Today we’re happy to announce two updates. EventBus 2.4.1 fixes a bug with sticky events and a crash on some devices.